Raleigh Award Urn on Black Piano Finish Base with 4-1/2"diam felt inset. 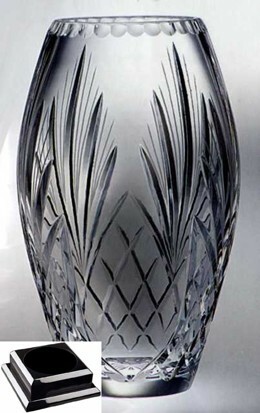 24% Full Lead Crystal. .
12-3/4"h x 7"w x 7"d.